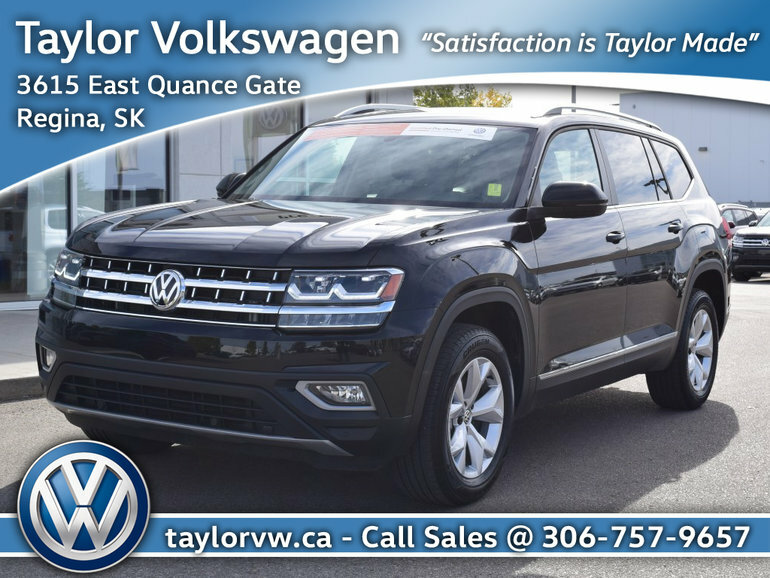 Here is a beautiful 2018 Volkswagen Atlas, Highline trimline, fully equipped that is ready to adapt to your busy urban lifestyle. The features are a-plenty including navigation, large sunroof, heated seats... the list goes on! Spacious interior that will seat 6 and the wood-grain detailing is a beautiful touch. The Atlas will keep you and your family safe with TIP 4MOTION all-wheel drive system, ideal for life the prairies. Seeing is believing! Book your test drive today! Interested by the 2018 Volkswagen Atlas Highline 3.6L 8sp at w/Tip 4MOTION April Shower of Savings plus 0.9% Financing !! Save $5000 !! ? April Shower of Savings plus 0.9% Financing !! Save $4000 ! !